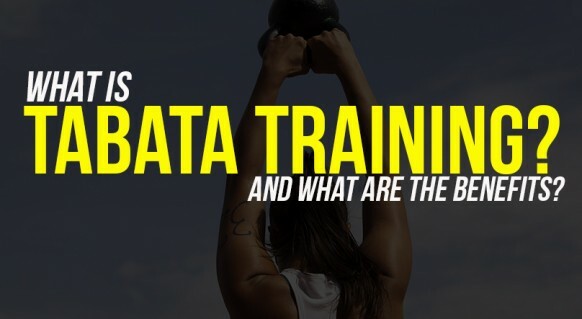 Fitness Blog WHAT IS TABATA TRAINING? Tabata training is one of the most popular forms of High Intensity Interval Training(HIIT). It consists of eight rounds of ultra-high-intensity exercises in a specific 20-seconds-on, 10-seconds-off interval. It may only take four minutes to complete a Tabata circuit, but those four minutes may well push your body to its absolute limit. Technically, Tabata training should be done with one movement. So, if you choose a movement like front squats, or thrusters, or burpees, you do it at absolute maximum intensity for 20 seconds, take a 10-second rest, then begin again. Part of what makes Tabata so difficult is performing four minutes of the same movement at kill-yourself intensity. If you’re not absolutely toast after those four minutes, you didn’t go hard enough. If you’d like to add Tabata to your training regimen, I advise it twice per week. You can do it more often if you’re better trained, need quick results, or recover well from the previous sessions.